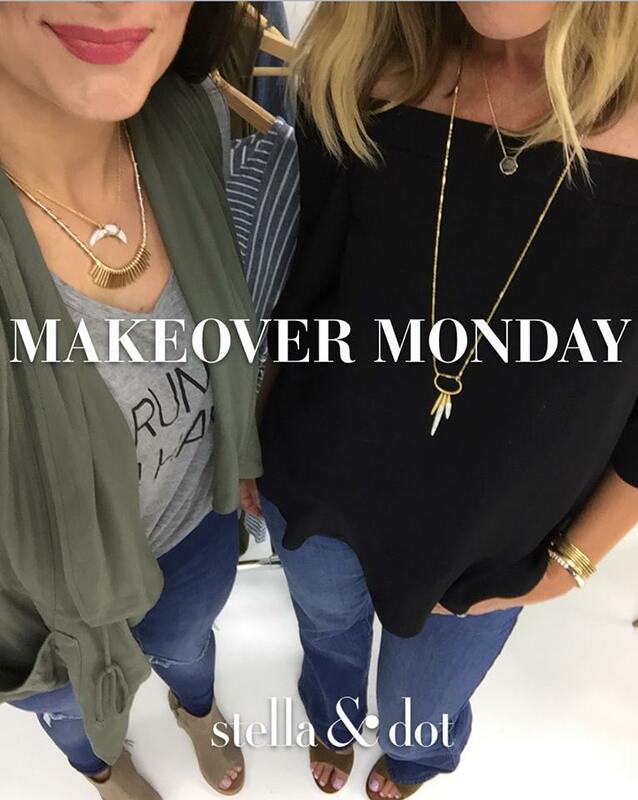 Two weeks ago, I got an amazing opportunity to head over to the Stella & Dot home office to film a Facebook Live “Makeover Monday” style video. I was asked to pick out my 5 favorite summer style outfits and pair them with my favorite Stella & Dot jewels. Basically my dream task. I spent about 2 hours going through my closet, picking out my favorite summer pieces and styles, while having many moments of self doubt as in “What do I even know about style?! and “Is anyone even going to like these outfits?!”. In the end I came up with 5 fun outfits, 32 different jewels and a REALLY messy room….AND I loved every minute of it. I’ve been getting many messages about specific designers, pieces and where to shop the certain pieces I picked for the filming. All in all, I decided to do a blog post to answer everyone’s questions together all in one spot. I’ll go through my 5 style picks with direct links to certain items and per usual, if the item was old, I’ll try and link a VERY similar item. Hoping this blog post brings you a little style inspiration to start the week! Hey! What shoes are you wearing in the first picture? I think you were wearing these at your trunk show too. I remember you saying nordstroms…. love them and want to make sure to get right ones!